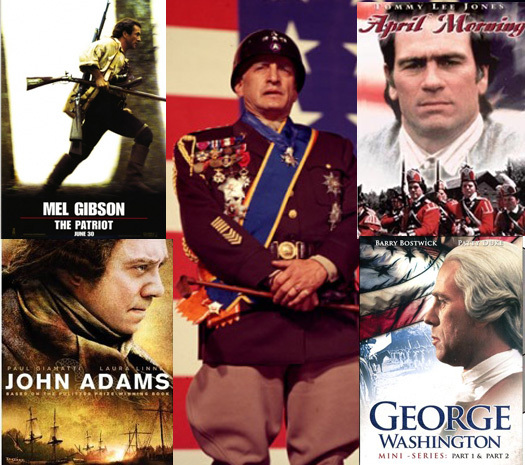 You cannot celebrate the 4th without films portraying the American Revolutionary War. One of our longest wars in American History. Mel Gibson’s The Patriot is a great starting place for the war. The battles are epic and the desperation of fighting a guerrilla war in the southern colonies is captured very well. Two mini-series that encompass the entire era HBO’s John Adams and CBS’s 1980’s mini-series George Washington (which is no longer in print, but you can buy DVD rips of the VHS tapes) which covers Washington’s entire life and is considered to be one of the best portrayals of him on-screen. My Netflix pick is about the first skirmish of the war titled April Morning. These films will help you get a taste of what the founders of this country accomplished. Films that embody America and have inspired generations are great for remembering our founding and our Heroes who have sacrificed so much to preserve liberty across the globe. The iconic Patton played by George C. Scott is a cinematic masterpiece giving one of the greatest speeches in film history. The epic battle of San Juan Hill in John Millius’s Rough Riders has the greatest portrayal of Theodore “Teddy” Roosevelt. Performed by Tom Berenger. Since I mentioned John Milius let us not forget Red Dawn (both original and remake) is a great reminder for America’s youth. Last but never least is the one man who will forever be identified with America and that is the one and only “The Duke” John Wayne. You could probably just pick any of his films but to hand-pick a few Sands of Iwo Jima, The Green Berets, The Man Who Shot Liberty Valance, and a family favorite McClintock. If violence and battlefields bore you and you want something more for the homefront. Have no fear I have a few titles for you. The Best Years Of Our Lives about three WWII veterans coming home after the war. This is a must see for any military family. A Hallmark film called An American Story which is based on actual events. This film is about veterans who come home from the war find that their town has been corrupted by crooked politicians and war profiteers. Jimmy Stewart’s Mr. Smith Goes to Washington is the all inspiring tale of good man comes to corrupted government. 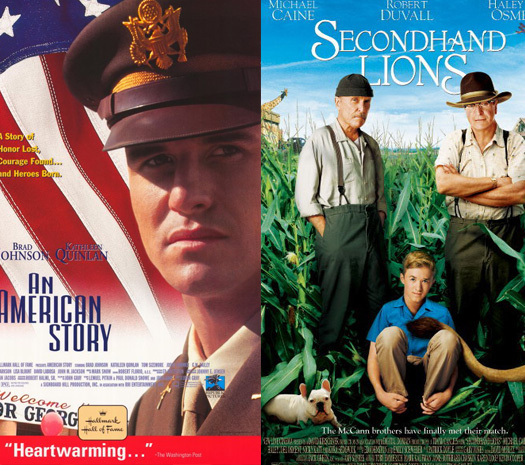 Second Hand Lions is a great family film about teaching a young boy about becoming a man. Finally a true story that can only happen in America is Will Smith in The Pursuit of Happiness is a wonderful reminder of what America is famous for, the place where anyone achieve greatness no matter their race, religion, or status. Seems like every Christmas Season in recent years offers long fantasy epics such as Lord of the Rings, Harry Potter, mixed with a typical family Disney animation of some sort. Well for movie fans seeking something different with a great character story, Jack Reacher brings it in spades. Jack Reacher is based on the book One Shot about a former Army military police officer played by Tom Cruise who is in pursuit of a sniper responsible for a mass shooting in Pittsburgh, PA. This film was produced by Cruise and shot on location in Pittsburgh Pennsylvania, which makes for a visually rich environment for this film noir. 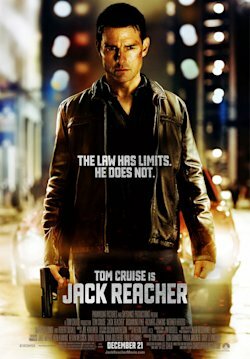 Critics including Leonard Mauldin are giving Jack Reacher two stars or less which is disappointing for the critics. This is film is a great character piece for Tom Cruise whose on-screen presence is much more in-depth than the Mission Impossible or Bourne Identity movies. Robert Duvall’s character is beyond criticism with his supporting role as a rifle range owner. That being said, the Sandy Hook shooting occurred just two weeks prior to opening weekend for Jack Reacher, keeping many soccer moms away from the box office. This has had a real impact on the money it is taking in, which unfortunately means that there will be little to any chance of a sequel to this movie. The constant complaint from film critics and the public is that there are not enough new and inventive stories in Hollywood anymore, so Tom Cruise helps produce one and it gets crucified for their efforts. This film is rated PG-13 for the action content with a small amount of language to it which makes this a perfect movie for both teen and adult audiences. Critics say that Cabin in the Woods was 2012’s big movie that was missed and being a horror film enthusiast it was a good movie. Unfortunately, in all honesty it’s getting more praise simply because the Avengers director’s name Joss Whedon is tied to it. Jack Reacher is a film that will have a longer shelf life. I fear this has become the normalcy in Hollywood where even great films such as Jack Reacher, Boondock Saints, even Cabin in the Woods get buried. Not because of their content or the performances, but because someone in corporate doesn’t think it fill their product mold. Granted this is nothing new coming from Hollywood, but many of their mass-produced movies did not do well this year. Most of the movies that are considered to be Oscar contenders are not great movies. That being said ignore critics and box office take and go see Jack Reacher. It was well worth the 10$ ticket. “We are the government and we are here to help.” Truly one of the most horrifying concepts within the last two centuries has come to the silver screen as a modern take of John Milius’s Red Dawn. Milius’s film about a Soviet and Latin invasion/occupation of the United States during the Cold War has been both inspirational and controversial for generations of moviegoers. Rugged individuals fighting a guerilla war against overwhelming forces in your hometown is a universal theme. Every zombie film uses the same premise. What made Red Dawn and its remake different are their patriotic and historical overtones. For example; in the original film the character “Jeb” is named after a famous mountain man who hunted, trapped, and fought Indians off when America was still expanding west. Milius loves to write about when men lived by their own means without laws or government, just by their own word and the gun by their side. The remake of Red Dawn brings the audience back to this rugged scenario with a combat veteran teaching survivors how live in this new world without the comforts of civil society. Conservatives, libertarians, historians, and veterans love movies that promote these ideals and give audiences a glimpse at why we resist things in this world that are forced upon us. This is why criticisms of both the original Red Dawn and the remake are very scathing. The majority of American film critics are very liberal both socially and politically. The art they review is created by an industry that is very liberal. This is more than just conjecture on my part, because there are just too many polls out there that state otherwise. The original was criticized as being right-wing paranoia, as well as being called; Fascism and pro-gun nationalism insulting the Soviets. 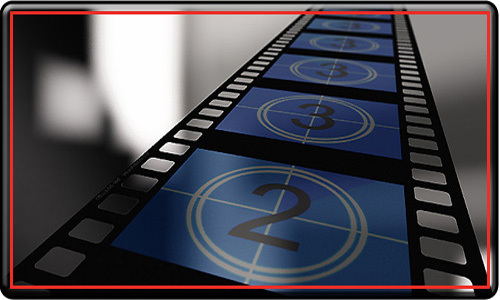 The new version suffered the same fate from critics some saying the acting was terrible, which is a legitimate argument until you watch the actual film. The remake of Red Dawn has some great veteran actors and actresses in it portraying the situation with great realism showing the immaturity of youth, desperation, coping with loss, and warrior’s spirit. Other criticisms were made by rather pro-communist, pro North Korea reviewers stating how terrible the portrayal of the North Korean military occupation is in the film. This should not be a surprise to anyone out there. When dealing with progressive communism, people only see government for the free stuff they get and forget about the trail of bodies their theories leave behind. My example comes from Anthony Herbert’s book Soldier about his time fighting the Korean War. He details in his book finding friends he came across on patrol that were nailed to doorways and their entrails leading out into the ice and snow. That is what progressivism offers us. From My Cold Dead Hands! After enjoying all of the Halloween treats that the season has to offer, it is time to take stock in one of my favorite genres of film, the zombie/apocalypse. Zombies, alien invasions, breakdown of society films all have a few things in common. Each story is essentially a survival story where survivors have beaten the odds of disease, famine, occupation, genocide, nuclear annihilation and are trying to establish a new world in the ashes of the old. This concept of building a new world out of the proverbial wilderness is something entirely unique to Americans. Since the United States is a rather new to the world stage, it took over a century and a half for us to settle and establish American society. It is due to our unique history and culture that we have created the modern zombie film. Everyone knows that George A. Romero and John A. Russo created Night of the Living Dead propelling tales of a mysterious disease that animates the recently deceased back to life and craving human flesh, which in turn caused society and communication to break down. That is until men and women pick up their weapons and band together fighting creatures and others who might transgress upon them. This theme of guerrilla resistance saturates Romero’s blockbuster sequel Dawn of the Dead. Another reason why this type of film is so popular and definitively American is that the United States of America is the only nation in the world that has written down in the Bill of Rights that the civilian population has a right to own military arms. It is in our nation’s DNA to be the ”armed to the teeth” underdog, and our zombie films reflect that. 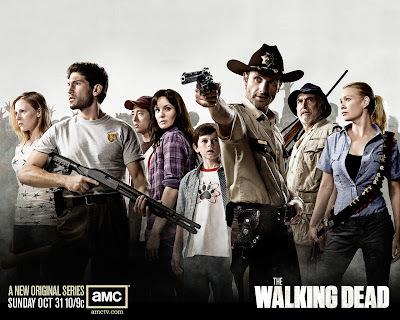 From Romero’s Night of the Living Dead series to Robert Kirkman’s very popular The Walking Dead the everyday use of firearms harkens back to pioneer days with musket, knife, and tomahawk strapped on every able-bodied person. A great comparison is the remake of Dawn of the Dead and the British 28 Days Later. In Dawn of the Dead a band of survivors shoot their way to a fortified position (the mall). While in 28 Days Later, survivors barely make it to a military checkpoint in which they are subject to their abuse because in the real world the people with guns make the rules. American survival not only permeates the horror genre, but sci-fi and action too.